I’m nearing the end of my parenting season. 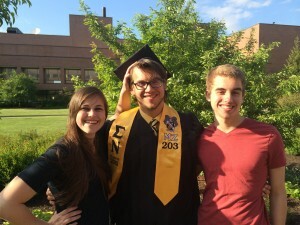 My kids are on the cusp of adulthood (or so, they think.) At 20, 18, and 16, they’re at the point where they are deep into their own lives. I’ve heard it said you never end your journey as a parent, so I’ve segmented this into seasons instead. I would say the school years were one long winter season! Fortunately, I like snow skiing, so there were lots of times when we just skied through it. Other times, the school years felt like being stuck on a chairlift for hours with the wind and snow blowing through my bones. Yeah, parenting is like that! In the early years of raising three deaf and hard of hearing kids, the most crucial piece for me was the support of other families with deaf and hard of hearing children. They say it takes a village to raise a child and you’ll have to create that village for your kid. I stayed open to meeting as many different families as possible. I didn’t care about the communication modes or methods, that wasn’t important to me. 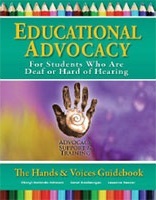 I wanted to connect over the common bond of raising our deaf and hard of hearing kids and getting through the occasional challenges. I found families everywhere– in my town, state, across the U.S. and thanks to the Internet, literally everywhere. I set up play groups in my home, at the mall, in the parks, and at the pool. We’ve lost touch with some of the families who we connected with during the early years and have formed second families with others. Each one of them had an impact on my kids while they were growing up. There’s that human need for connection and I just wanted to fill it on every level. We sometimes drove for hours to attend an event with other families. There were some days I questioned the purpose of stuffing three screaming, cranky kids into the car for a short event, but in every case it was always worth it. Which leads me to the next random thought: the important of peers. When I was growing up, I was the only kid with a hearing aid in my school–until I met my first hard of hearing friend, Shawn, in high school. Just seeing the hearing aids perched on Shawn’s ears wasn’t enough to get me to connect with her. If anything, I didn’t want to be reminded of my hearing status. Shawn and I were as different as night and day. Without the common bond of hearing aids, we likely would have never connected but a stubborn itinerant teacher insisted we spend time together. Shawn was a rebel, a “rough around the edges” gal. I was a Goody Two Shoes. She introduced me to brass knuckles and numchucks. I taught her the value of paying attention in class. We are still friends today. At the time, I didn’t realize how important it was for me to connect with another person who also struggled to understand day-to-day conversation and understood the loneliness of being left out. So when my deaf and hard of hearing kids were growing up, I connected them with as many other deaf and hard of hearing kids as I could. And again, I didn’t care about how much or how little hearing they had, whether they had hearing aids, implants, or none, or how they communicated. My kids grew up with kids who cued, signed, spoke, or combined–you name it. I can’t stress this part enough. Connect your kids with deaf and hard of hearing adults while they’re growing up. If your kid wants to be a fireman, doctor, lawyer, pilot, pharmacist, engineer, janitor, entrepreneur, nurse, counselor, teacher, author, professional athlete, or Nobel Prize winner–go find a deaf/hard of hearing adult living that dream and connect your child to them. Deaf and hard of hearing adults are out there in all walks of life just like everyone else, but it’s essential for deaf and hard of hearing kids to know them, see them, and connect with them in some way. If you can’t find someone on the path your child wants to take, then perhaps your deaf/hard of hearing kid is going to be the one to blaze a new path. Someone has to be the first down a path that hasn’t been taken before–perhaps it’s going to be your child. Our kids were born to stand out. Let ’em shine!